Why is Alicia Online so Unique? Rate this Article Alicia Online is easily one of the most, if not the most unique, horse games out there and there are a lot of reasons why. Its uniqueness has managed to net it one of the most dedicated and massive player-bases of any horse game out there and in this article we’ll be shedding some light on what this game does to set itself apart from the rest of the crowd. One of the best things about Alicia Online is that it isn’t afraid of incorporating fantasy concepts alongside the usual realistic horse gameplay. Most horse games are either fully realistic or fully make-believe and there was no ‘in-between’ up until Alicia Online came along. It does a brilliant job of pulling off both realistic and fantasy concepts and both these things synergize very nicely in the actual game and make for a really enjoyable experience unlike any other. You’ll be able to do things like race your horses as you normally do but the horses you race will probably have wings or other special features. Perhaps one of the most important things to note about Alicia Online is that it’s not just your ordinary horse game. It can actually be considered an MMORPG as well for a variety of different reasons. For instance, the game features character progression which is something that you usually find only in MMORPGs. The concept of progression actually adds a whole lot of depth to the play and works very nicely with the traditional horse gameplay. The MMO features also help attracts other players who aren’t usually interested in the traditional horse games. 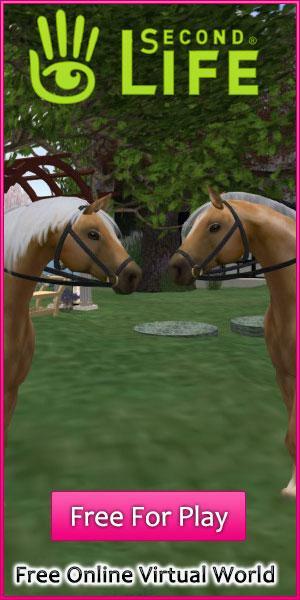 There are a lot of people who gauge how good a horse game is simply by how in-depth its customization section is and fortunately, the customization features of Alicia Online are above and beyond anything that other horse riding games have had to offer. You’ll be able to modify even the tiniest of details about your horse and truly make it look exactly according to your preferences. The equipment that you equip on your horse will change the way it looks as well and this is another great way to customize it even further. Alicia Online is also one of the more social horse games. Most games in this genre tend to focus way too much on the single player aspect and some of them ignore multiplayer altogether but this one manages to bring a nice blend of both. If you enjoy playing on your own then there are multitudes of different ways to keep yourself engaged like exploration, keeping you horse well fed and grooming it but if you’re someone who enjoys playing alongside or against others then there are various different kinds of multiplayer races that you’ll be able to participate to demonstrate how good of a player you are. All said and done, Alicia Online is easily one of the most unique horse games out there which is why we recommend that you try it out whenever you get the chance.